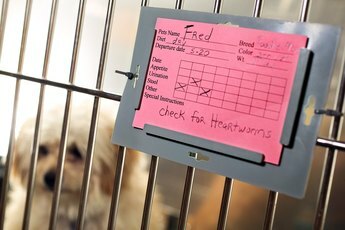 Veterinarian assistants help ensure smooth operations at animal clinics. If you have a love for animals, becoming a veterinarian assistant might be the job for you. Employment for veterinarian assistants is expected to grow by 14 percent between 2010 and 2020, according to the Bureau of Labor Statistics. When you know all of the facts about this entry-level job position, you are better equipped to determine whether or not this is the right career choice for you. A veterinary assistant helps with most of the daily tasks that go on inside an animal hospital or clinic. Her responsibility is to help lighten the load for veterinarians and veterinarian technicians. Some of her daily job duties include greeting pet owners, assisting with patient check-in, patient discharge, grooming, weighing, patient restraint, checking vital signs, administering medications, laboratory testing, managing patient records and sterilizing surgical equipment. 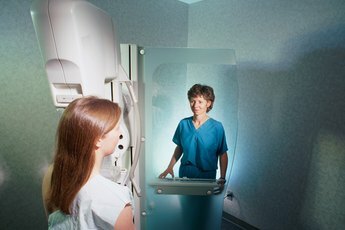 These duties may vary by clinic and state laws. 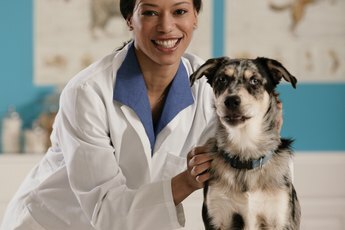 Veterinarian assistants are different from veterinarian technicians. 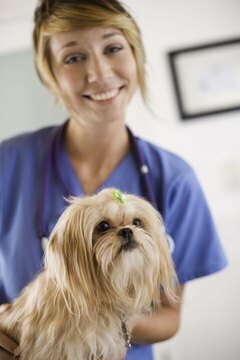 Depending on specific state laws and regulations, assistants may not be allowed to perform the same functions as a vet tech. For instance, some states don't allow veterinary assistants to give shots, assist with surgery, remove stitches, take X-rays or place catheters. Check your state's board of veterinary medicine for specific rules in your state. Many veterinarians like to hire assistants who have some experience working with animals. This experience can be gained in a variety of ways, such as working at at a local animal shelter, or working at a pet store or daycare. If you are unable to find a paid job working with animals, volunteer your services in exchange for a reference or recommendation letter from an employer. Whether or not you need formal education or training varies by employer. In many cases, a high school diploma or GED is sufficient. Some employers prefer assistants who have completed a formal veterinary assistant training program at a local college, trade school or vocational school. Training can take anywhere from a few weeks to a few months to complete depending on the school or training program. You'll learn a variety of topics including animal nursing, specific animal health terminology, anatomy, physiology and how to take vital statistics. Many of these things can be learned on-the-job, through internships and externships. .